In the early 1980s, there were five friends who ran an illegal broadcasting station. Back then, the world was much simpler. It was clear what had to be defended and fought for. The way to go forth was like a straight line. Time teaches one about betrayal and compromise. Now, their children have grown up to their twenties. One of them became an agent who steals the secrets of others at night. Another is a paparazzi who digs for information about others behind their backs. political and societal justice are just unlucky words to them. These children now start to harbour the same dreams as their parents. A dream to become a real reporter. But in order to become true reporters, there is a wall that they have to overcome. This world that their parents have shaped and left behind for them. Will these children be able to become the real reporters that their parents once dreamt of? Will they be able to untie the knots of the past and change the world? “The world messed with us first,” one person among us said. “No, it is us who have sinned against the world,” yet another person said. Yoo Ji Tae in "Healer"
Yoo Ji Tae to Return to Small Screen in "Healer"
Will Ji Chang Wook and Park Min Young Become A Couple? Park Min Young Works Hard to Transform Herself as an Actress for "Healer"
i am so excited Wookie will work with one of the Korean finest actor/director, YJT.. I dont know a lot about him, but after some digging, woow, he has his own class.. Oppa, pls take care of uri dear puppy.. we are cheering for great project!! FIGHTING!! btw, i am the first post here!!! WOHOOOOO!! Thanks @kanyaprasetyo for starting this thread. Another news relating to the confirmation of casting....highly anticipating this drama. Ji Chang Wook has been confirmed to star in KBS2’s upcoming drama Healer (tentative). Ji Chang Wook will be acting as ‘Seo Jung Hoo’ (code name healer) in KBS2’s drama Healer, a secretive ad perfectionist messenger who doesn’t leave any traces. Healer is a romance drama depicting the story of Seo Jung Hoo getting involved between internet reporter ‘Chae Young Shin’ (Park Min Young) and star reporter ‘Kim Moon Ho’ (Yoo Ji Tae). 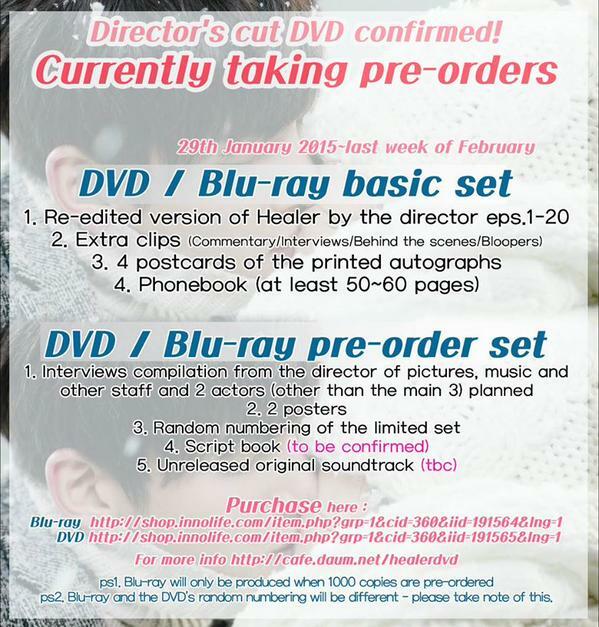 Healer will air in the beginning of December. Yes, will be looking forward to this drama, since we can watch Ji Chang Wook again after Empress Ki. I am hoping that he will have supernatural powers. Seo Jung Hoo "a secretive ad perfectionist messenger who doesn’t leave any traces"
Yoo Ji-tae is coming back! To television, for one thing, but also to acting—the Hwang Jini, Traces of Love, and Oldboy star has been focusing his efforts in recent years on directing, and thus hasn’t been taking on very many acting projects. Aside from a Japanese film (The Tenor), he hasn’t acted in a movie since 2010′s thriller Midnight FM with Su Ae, and his last drama was 2008′s romance melodrama A Star’s Lover with Choi Ji-woo. He has announced that his next project will be a drama called Healer (a working title), and there’s another big name to take note of: It will be written by Song Ji-nah, who still retains a place as a top drama scriptwriter for seminal works Eyes of Dawn and Sandglass, though I would say her recent dramas have been less than successful (Faith, What’s Up). She’ll always have a place in my heart for Story of a Man, though, which remains firmly on my favorites list. I’ll take the leap and suppose that the “healer” in the title refers to an emotional type of catharsis rather than a medical kind. I just find it funny that Song Ji-nah wrote Faith which was about medicine, and now Healer which is about faith. The synopsis of this drama sounds intriguing enough that I’ll be looking out for more news; right now it’s so vague it’s difficult to know even what genre it is. I find Yoo Ji-tae to have a very interesting introspection to his acting, although he certainly isn’t incapable of playing the villain when the story calls for it. His directing career has been met with rather positive reception which is nice to know, but I’ll be glad to see him back on my screen. Directing will be PD Lee Jung-sub of the dramas Hong Gil Dong, Baker King Kim Tak-gu, and Man of Honor. Healer will take up KBS’s Wednesday-Thursday slot beginning in November; it follows Iron Man, which follows Joseon Gunman. Actor Yoo Ji-tae is coming back with a drama. He is starring in a new KBS 2TV drama "Healer". This is the first time in 6 years since he's last starred in a drama. Yoo Ji-tae's role is Kim Moon-ho, a star reporter who knows the connection of a case that happens in his parents' generation until the generation of their children. One day he finds the truth about a past incident and approaches the characters in the story intentionally and helps them. This drama is written by Song Ji-na who wrote "Yeo Myeong's Eyes", "KAIST" and others. It is produced by Lee Jeong-seob. 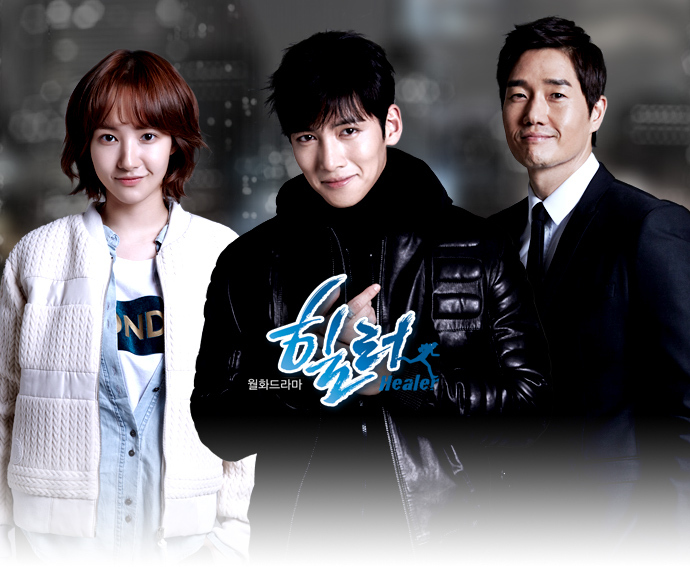 "Healer" comes in November after "The Joseon Shooter" and "Ironman". Meanwhile, Yoo Ji-tae starred in the movie "The Tenor" and is looking forward to releasing it in Korea, Japan and China. According to Kim Jong Hak Productions, which released a statement via a representative on OSEN, the three celebrities are currently negotiating contracts with the channel and are confirming their appearances in the show. “Healer” is the latest project from Song Ji Na, who also wrote “Eyes of Dawn,” “Sandglass,” “KAIST,” “Dae Mang,” “The Legend,” and other acclaimed works. 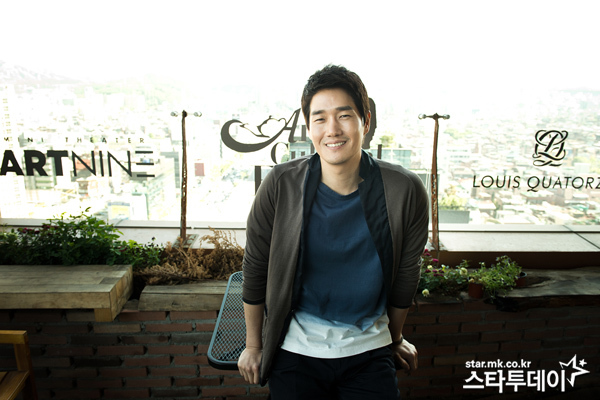 In addition, the drama marks Yoo Ji Tae’s first return to the small screen after his role in SBS’s “Star’s Lover” in 2008. Looks like a list of impressive works! Yeye!!!!! YJT and JCW, i can't wait to see you two again! @rubie helloo, nice to meet you. You seem to know alot about YJT. Do you happen to know where to watch his movie "Mai Ratima" and "The Tenor" ? If you're kind enough to send me PM, maybe? Thanks alot! I am cheering for a PMY and JCW pairing for this drama!!!!! Yay! Can't wait to see Wookie doing back flips, scaling walls and jumping off buildings. And I wonder what kind of smart gadgets he will be using. Sounds like Korean James Bond. This drama is being produced by Kim Jong Hak Productions. Full House, Beethoven Virus, I Hear Your Voice, I really like those dramas. CONGRATULATIONS @kanyaprasetyo for making your first thread! this is you first thread right?? Let's wait for the drama patiently and when it airs lets again turn fandom into madness!! 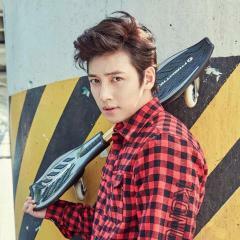 I'm so happy JCW is in a new drama again \:D/ . I miss him :x . 1st lead or 2nd lead it doesn’t really matter anymore lol I just want to see him acting again hehe. Somehow I have a feeling he might end up with the girl in the end. Cuz it sounds like Your All Surrounded. Where Cha Seung Won was the lead kinda and Seung gi was the rookie. Its similar to Healer right now with Yoo ji tae and JCW. I hope to see great chemistry among the leads. 8-> I'm getting excited with this. Come Healer bring it on.